Tech conferences usually come with their fair share of awkward moments, and Apple’s annual Worldwide Developers Conference is no exception. It’s inevitable when you’re trying to show off hardware and/or software with semi-spontaneous ejaculations of joy or demonstrations of “everyday” utility. But something about this year’s WWDC was even more cringey than usual. Here are a few (but by new means all) of such moments in the show. HashtagMommyFortheWin: WatchOS 5, the latest for the Apple Watch, is getting a few new features — check here for the full rundown. To demonstrate them, Apple made a poor woman named Jules hop on a stationary bike and pedal while using her Watch. One of the features was Walkie Talkie, which operates pretty much exactly how you think it operates. “Am I on the big screen?”: Craig Federighi took it upon himself to demonstrate the new group call feature in FaceTime, by calling up other Apple employees. While the call itself was plenty cringey in the way people attempting to act naturally under duress always is, it wasn’t that bad. Nor was it too bad when one of the callers had what appeared to be a watercolor of Federighi himself on the wall. Quite beside the awkwardness of the read (I’m sensing a pattern here), I refuse to believe an Apple employee could fail to realize being in that call would result in her being projected on the screen — and I don’t think any of her 6,000 fans were fooled either. NO: When Apple was coming to the end of their show, Federighi started making noises about how similar iOS and macOS were. Then he outright said fans are always asking if Apple is merging the two. At that moment, a gigantic “NO.” flashed across the screen, complete with a full stop period. While I understand the need to perhaps not get the audience’s hopes up too high by making the reveal sound like a merger, the way the talk was framed made the potential merger seem like this show’s requisite “One more thing” moment. And then there was no actual “One more thing.” The show just sort of ended. 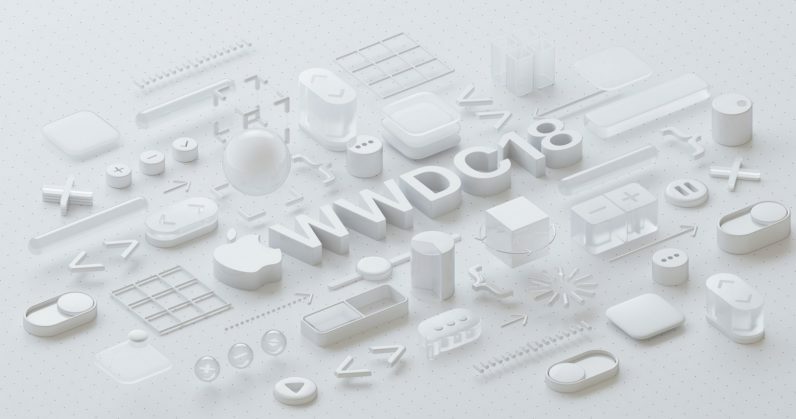 If you want to read our full coverage of WWDC, check out our event page here. There were some good moments, I promise. They were just bookended by even more awkward moments than usual.